Introducing our new Medical Animation characters! Siddhu - November 25, 2015 - Leave your thoughts. Let’s hear an old saying, “An apple a day keeps the doctor away”. Old, very old. Now let’s hear the new one, “A medical animation video a day keeps the doctor away”. That’s something new, isn’t it. A much more interesting way to create health awareness. 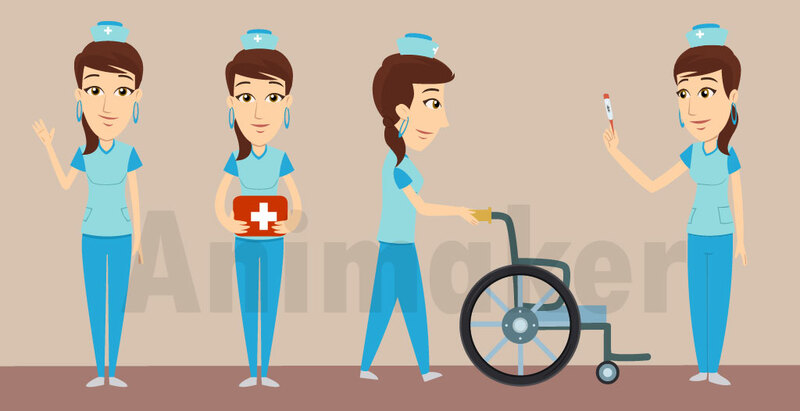 Now you may wonder what Animaker is doing with healthcare business. 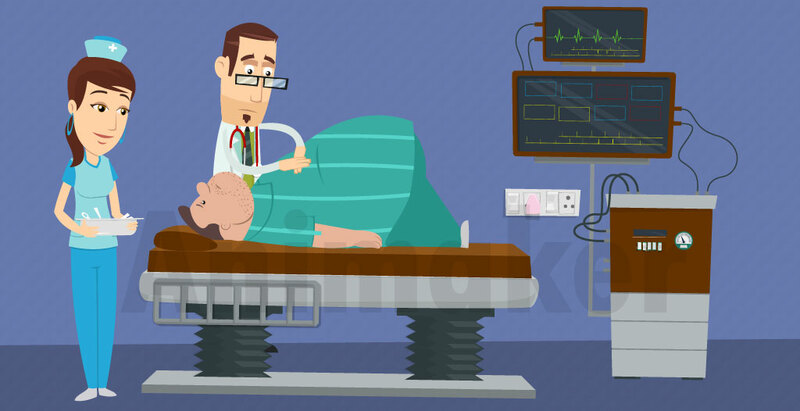 There is a huge demand and awareness among people regarding health issues. As a result, for the past few months, we have been bombarded with requests to create characters related to the medical world. Therefore, Animaker has taken this opportunity to become a part of something greater. 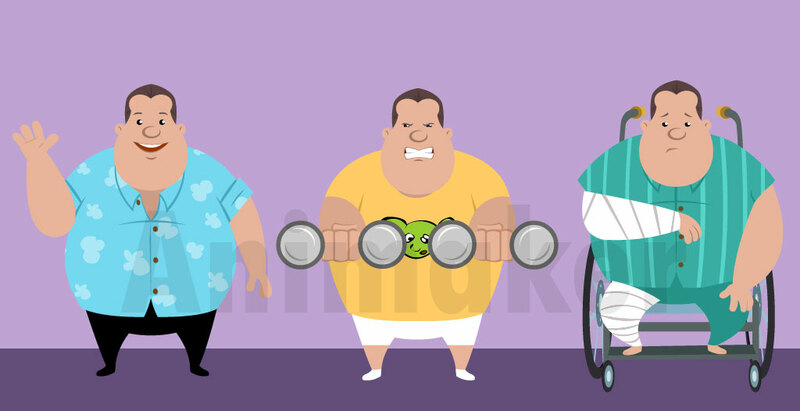 Yes, the first step is our ‘Medical animation’ characters bundle. We have come up with brand new characters based on the suggestions of YOU PEOPLE! 3 brand new characters with 140+ animations. Meet Doctor Ben, a fun person who believes health comes before everything. Nurse Tina is proud to be part of the healthcare community that mostly gives back rather than take from the society. Patient George is a fluffy young man with utter disregard for his health. Don't make the same mistake he did. Exercise! 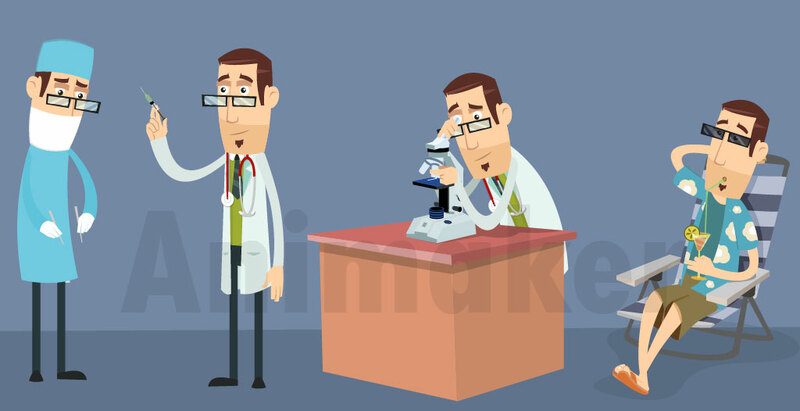 Take a look at our doctors at work! That’s right folks. 3 new characters. 145 animations. By permutations and combinations, you can do millions of videos. Considering how high the demand for health awareness is, we WANT you to make a difference by contributing through our ‘Medical’ characters. Opening of a local clinic. Release of an important vaccine. I’m not going to stop you stop now. I understand that you have an important job of educating the younger generation about health care. Educating your fellow human beings about health issues. So go ahead, make a change. No. Better, BE THE CHANGE. P.S. One of the biggest contributor to our new characters is you people. Therefore, we would like you to bombard us once again with your suggestions regarding new characters, so that we can serve you and the society in a much better way.